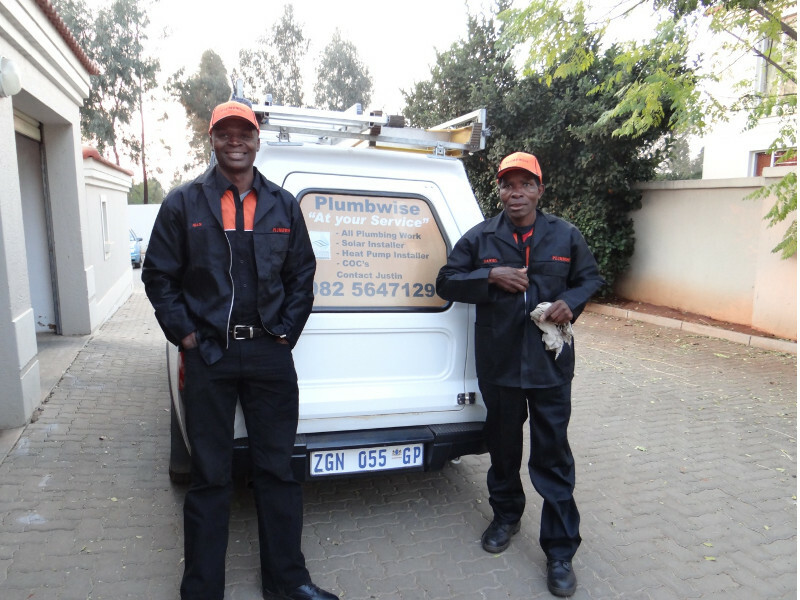 PLUMWIZE plumbing has been providing plumbing services to Pretoria & Centurion residents and business for over 7 years. We remain small enough to give your personal service with efficient staff that understands what is required from them. Our customers have been using us for years and commended us to their neighbours and friends. We are recommended Plumbers for several large businesses. FOR ALL YOUR PLUMBING NEEDS, CALL PLUMBWIZE TODAY!! We carry out all domestic Plumbing Repairs, Maintenance and new Plumbing Installations. LEAKS, GEYSERS, TOILETS, SHOWERS, TAPS, WASHING MACHINES, DISHWASHERS, FRIDGES. Our friendly staff is always ready to help. Whether you need us to repair a dripping tap, unblock a toilet, install a new washing machine, repair your geyser or quote for a new bath, we send the right plumber to you. We offer hourly and ¼ hourly charges and free written Quotations. We guarantee our labour for 1 year. Our Installations are always under manufacturers warranty, as accredited installers. We carry out power flushing on solar and water reticulation systems. We can remove any debris in the pipe work, leaving your system working like new. For a free quote to power flush your system, call us on 082 564 7129.